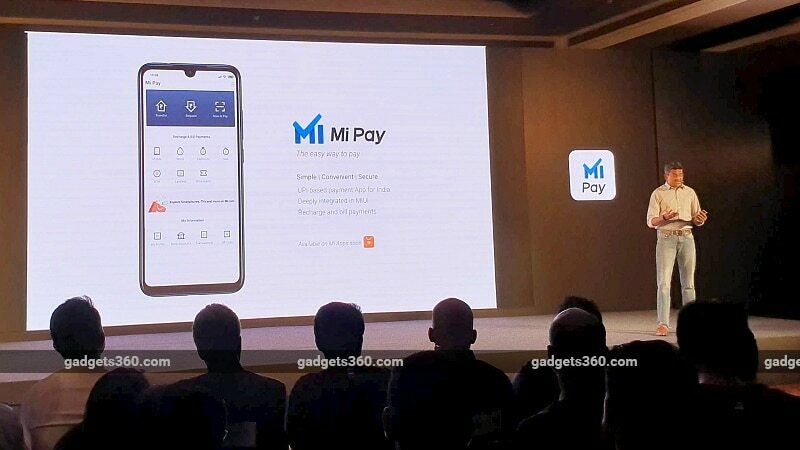 Mi Pay payments app has been launched in India. Xiaomi at the Redmi Go launch event on Tuesday the Unified Payments Interface (UPI) based payments app in the country. To company emphasised it has complied with data localisation requirements, and the Mi Pay app has been approved by the National Payments Council of India (NPCI). ICICI Bank will function as the payment service provider for the Mi Pay app. Xiaomi says the Mi Pay app will be available via the Mi Apps store soon, and that the framework will be deeply integrated within MIUI over the next couple of weeks so that users will not need to open the Mi Pay app to make payments. Mi Pay has instead been integrated within the native SMS, Contacts, App Vault, and Camera scanner apps. Apart from money transfer, the UPI-based Mi Pay app also supports recharges and bill payments. It will also be available as a payments option on Mi.com as well as the Mi Store app, Xiaomi announced at the event. To recall, Mi Pay was first launched in China back in 2016. Of course, the China version was not based on UPI framework. Reports of its entry into the Indian market first began emerging in August last year, with an RBI licence approval reportedly being awaited at that point in time. In December last year, Xiaomi announced it had begun beta testing of the Mi Pay app in India, and in February this year, the Mi Pay app became a part of the MIUI 10 Global Beta ROM. Of course, with the launch, Xiaomi is taking on established UPI-based payments apps in India, such as Google Pay and PhonePe. WhatsApp is of course also working on its own UPI-based payments system, WhatsApp Pay, which is already in testing in India. "All Is Well” With Britney Spears After All?